When in breeding plumage the red-throated loon can be easily identified by the red patch on its throat and all dark wings with no white patches. The red patch is absent in winter and juvenile plumage, however, making the red-throated loon significantly less identifiable. There is more white on its face and back in winter plumage than other loons. It is more slender than other loon species as well, and its bill has a slight upward tilt. 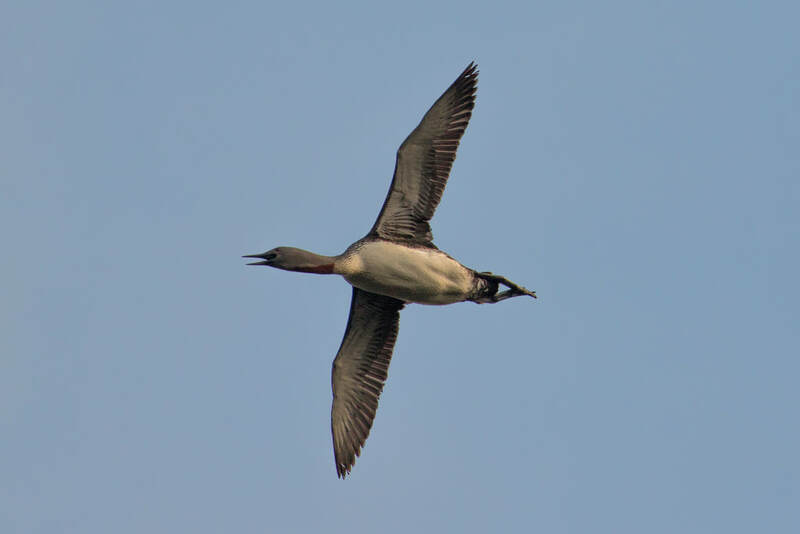 The red-throated loon frequents coastal waters such as bays and estuaries of both eastern and western North America in winter months, as far north as Nova Scotia in the east and the Aleutian Islands in the west. In summer it migrates much further north, into the Canadian territories and Alaska, where it breeds on ponds and lakes in the tundra. It also moves inland along the northern and central portions of the BC during the summer. It may be found along the Central Coast of BC at all times throughout the year: mostly on the ocean during winter, in coastal waters, estuaries, and bays. See E-Flora BC's provincial range map for more information. 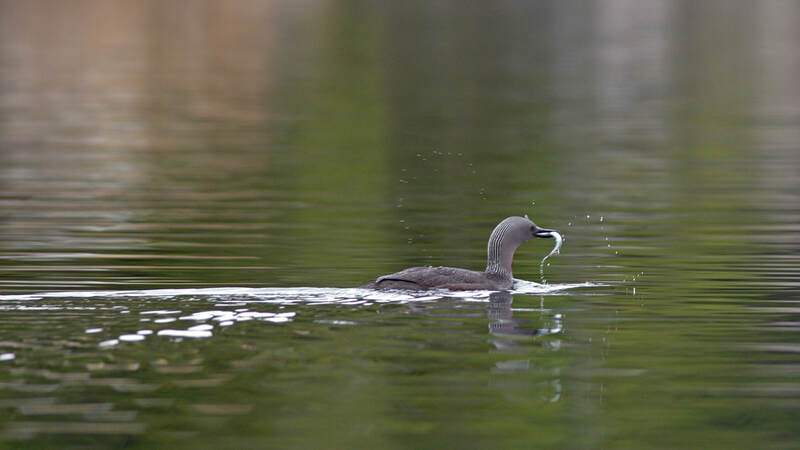 The common, Pacific, and yellow-billed loon can all be found along the Central Coast. 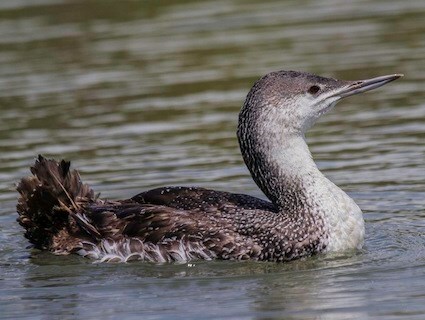 The yellow-billed loon (Gavia adamsii) is easily distinguished by its pale yellow bill, while the non-breeding adult plumage of both the common loon (G. immer) and the Pacific loon (G. pacifica) have more grey on their faces and less white on their backs. The red-throated loon has distinct calls, one of which is called the "plesiosaur duet." Dunn, J. L. and Alderfer, J. (Eds.). (2006). National Geographic Field Guide to the Birds of North America. (5th Ed.). Washington, D.C.: National Geographic Society. Pp. 70-71. Red-throated Loon (Gavia stellata). The Birds of North America Online (A. Poole, Ed.). Ithaca: Cornell Lab of Ornithology; Retrieved from the Birds of North America Online. Accessed 01/03/2013.